Beautiful bonsai. Have not seen many bonsai displays intended for judging. Am assuming bonsai on floor is part of Mr. Gremel’s display? Very nice. I love bonsai and it is great to be able to see such beautiful examples on line. First time at your site. Will continue to visit it often. Thank you. Thanks Lonnie and welcome to the B.I.B. Blog. You wrote you comment after clicking the picture so people only reading the blog will unfortunately not see your comment. The comments after the post are always shown. Thanks. Hope to see you back often. Yes, the bonsai display is very close to the floor. It sits on a tokonoma (display alcove). The plant in the lower right part of the display – a dwarf geranium – is an accent plant, not a bonsai. 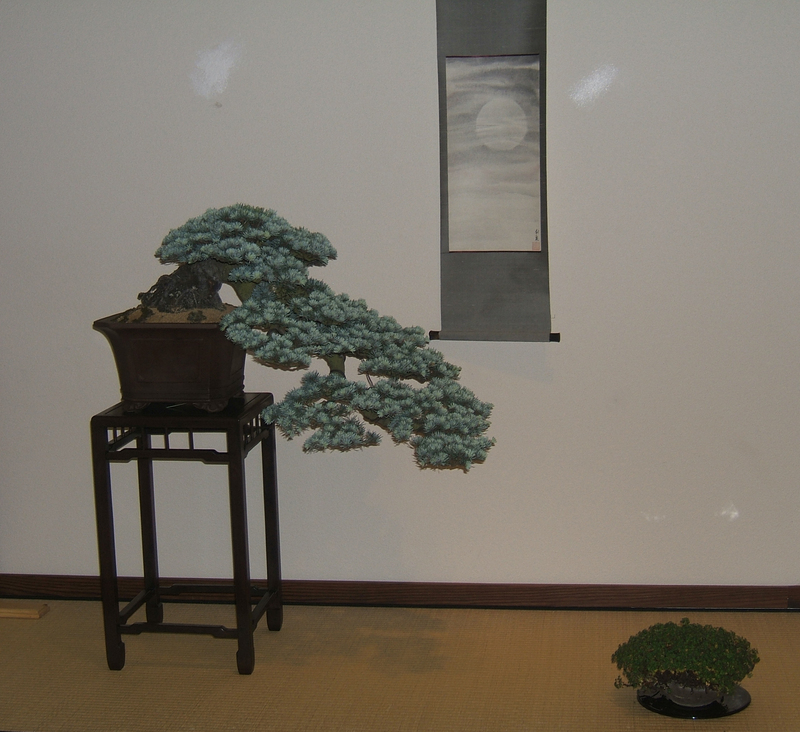 The bonsai, the accent plant, their stands and the scroll on the wall were chosen to make this three point display. All of the exhibits in this show were outstanding; many others could have been selected as one of the prize winners.